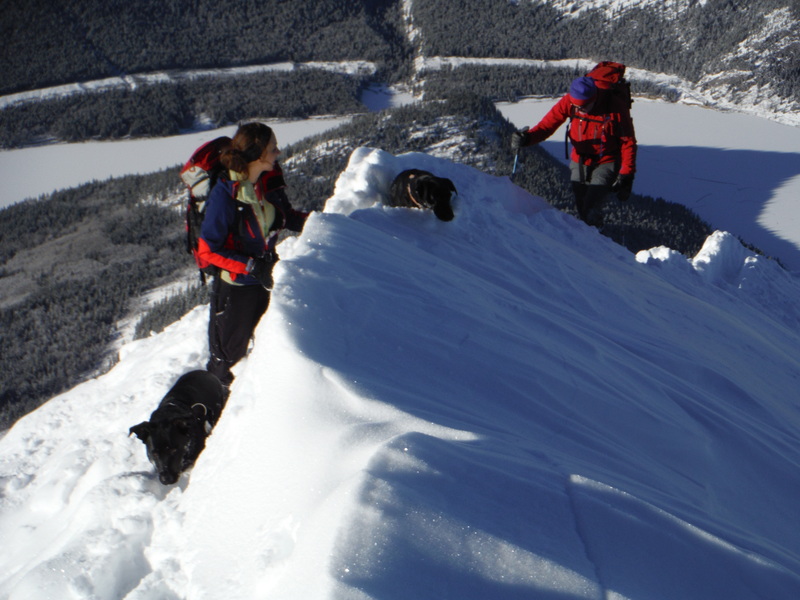 Olive and friends on Grant MacEwan Peak (formerly highest point of Heart Mountain) doing the loop in February. Mount Baldy three summits in background. Barrier Lake below. 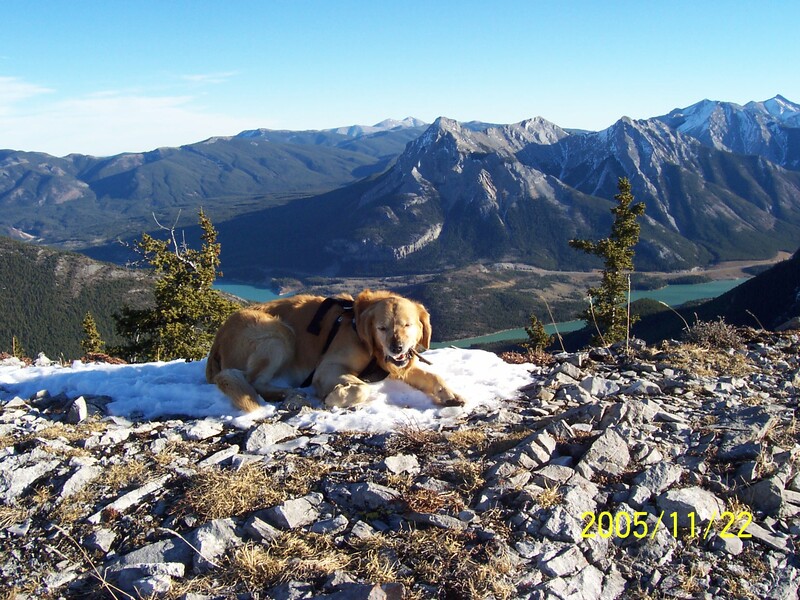 Buddy (5 years) on Heart Mountain in November (this summit renamed Grant MacEwan Peak). Mount Baldy and Barrier Lake in background. Midnight Peak at far right. 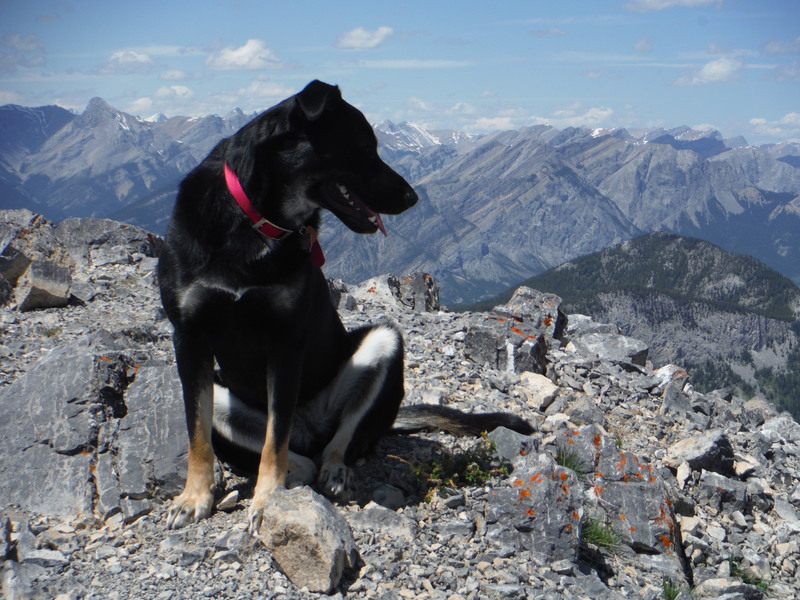 Buddy (8 years) and Kirsten on Mount Baldy. Nakiska Ski Hill and Mt. Allan behind.